Welcome to Sydenhams Kitchens and Bathrooms Showroom, based in our Newport, Isle of Wight, Builders Mechants. 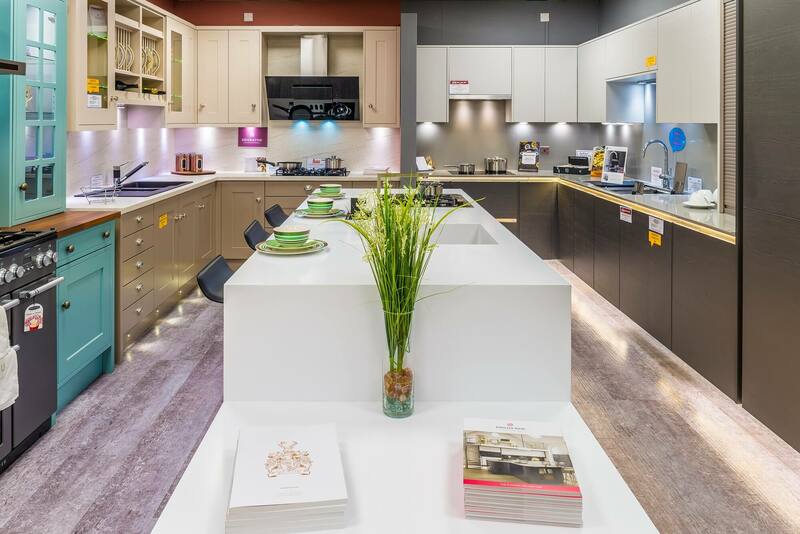 The showroom features many latest kitchen designs from brands such as Sheraton and English Rose which incorporate world-class NEFF appliances. Roper Rhodes, Rak and Lakes are among the bathroom brands on display with an array of brassware, shower panelling, shower enclosures and accessories on offer. We also offer a range of bedroom wardrobes that are bespoke to your requirements from leading suppliers such as Spacemaker & Symphony.